Still the best vertical halfpipe event running, the Rumble mixes old, new, fresh, hesh, plants (both hand and foot,) airs, grinds, legends and upstarts – basically everything that makes ramp skating rad. 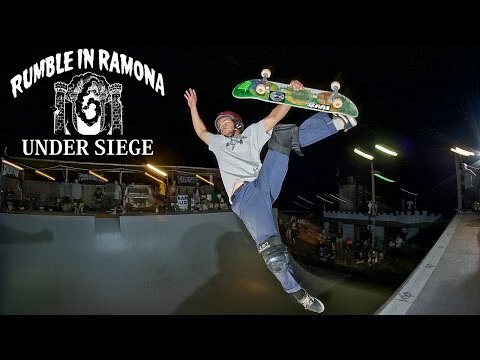 Watch as Schaaf, Kreiner, Lasek, Beckett, Lizzie, Auby, Delfino, Hewitt, Lefty, Dove, the Muscle and many, many more feel the steel and keep it real. Dig into six minutes of vert skating’s favorite event with plenty of action by the veterans, the rookies and the die hards. If you don’t get it, you never will.